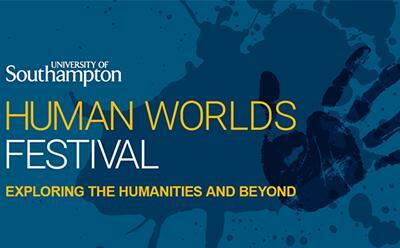 Human Worlds is the University's annual Humanities-based festival. It is a free series of events for members of the public, including families, to explore the humanities and beyond. Our 2018 Human Worlds Festival will take place in November - follow this link to our festival site Human Worlds 2018. Our popular Hands-on Humanities Day is back on Sat 17th Nov. This event is part of the Being Human festival, led by the School of Advanced Study, University of London, in partnership with the Arts & Humanities Research Council and the British Academy. For further information please see beinghumanfestival.org.